Violin lessons are available for beginning through high-intermediate students. 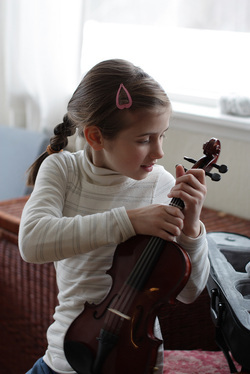 Viola lessons are available for beginning through high-intermediate students. Cello lessons are available for beginning through advanced students. Private lesson students have the opportunity to perform at three yearly recitals- summer, winter and spring. Students of all levels are encouraged to perform in a chamber ensemble in addition to lessons.